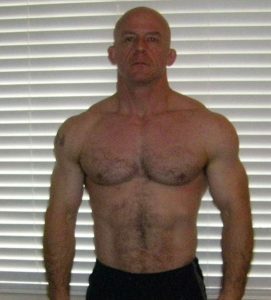 “As a law enforcement officer, it has always been important for me to have a balanced diet and remain in the best physical condition possible. I always considered myself to be strong. When I started training with Matt Wattles I weighed 167 pounds, and was at 12.5% body fat. Matt dialed in my nutrition and began training me. I saw and felt my body change not only in size, but also in areas like grip strength which is important as a law enforcement officer. I currently weigh 184 pounds, and have 7.5% body fat, that is 24 pounds of solid muscle in one years time. With each year of it's existence our Adult Performance Programs have become increasingly popular. Our Adult Functional Training programs are a condensed version of our sports performance program, our adult programs are tailored specifically to the needs of the adult training client. Whether your goal is weight loss, injury rehabilitation or to simply get a great workout our coaches can cater to the needs of men and women of all ages and fitness levels. Simply put our program is designed to help you move better and become healthier than you ever have in your life.